Several weeks ago, thanks to VaniaStoyanova, I caught a sneak preview of Pompeii, which opens in theaters, February 21. Interestingly, the experience of attending the early screening was almost more entertaining than the film itself. B and I looked at each other then back at the goodfellas. “Seriously?” I asked. “Yeah,” Tony Soprano said, holding out a zip-lock sandwich bag. “Put ‘em in here. No one goes inta the theater with their phones.” We were given a little red raffle ticket for reclaiming them later. Another black suited mobster stepped up and “wanded” each of us like an overly-caffeinated airport security officer convinced we were wearing invisible vest-bombs. “What are you looking for?” I asked. “Dayummm,” I whispered. “Do you think those lumps in their jackets are guns?" It’s important to point out that I am predisposed to like the movie because…because it’s about ancient Rome! 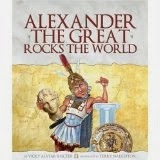 I’d support any effort to bring the wonder of the ancient world to life. Plus, I have a novel about Pompeii coming out in a matter of months! The movie gets a decent number of stars for merely existing. Still, it wasn’t half-bad! Seriously, I expected worse. I expected to groan, and roll my eyes so much that I’d end up with a headache. Sure there was the random anachronism and misrepresentation, but nothing big enough to make me hate the movie. 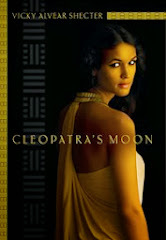 Plus, one can never underestimate the considerable seductive power of staring at really pretty people in “exotic” settings to distract us from some of the sillier set-ups (i.e., no the eruption did not occur during a gladiatorial combat; no bodies were found in the stadium). Emily Browning as the upper-class love interest, Cassia, was also fine though occasionally she “put on” her camera face. That’s the one beautiful actresses often present for their requisite close-up—the slightly-opened mouth and wide-eyed blankness that allows us to drink in their beauty without acknowledging that they might have any kind of inner life of consequence. I liked Milo’s (Harrington’s) backstory and wished we could’ve seen more of Cassia’s. But we went into this knowing this movie was going to be more about CGI-special effects than it was going to be about character development. Some of the gladiator scenes were laughable and downright cheesy. And pretty as he was, Harrington was a bit hard to believe as a gladiatorial champion. Fellow fighter-slave Atticus, played by Adewale Akkinnuove-Agbaje, had the gravitas and force of personality to pull it off. Indeed, he just about stole every scene he appeared in, making Milo seem even less believable as a serious contender. As for the volcano scenes, all I can about say about them is that they are about what you’d expect—interesting to look at but not necessarily surprising, moving or awe-inspiring. There’s no evidence, either, that a tsunami occurred during the eruption (despite Pliny’s mention of the waters receding), so it felt a bit as if the director was throwing every possible form of death and destruction at us in a desperate attempt to keep our interest. Fire, lava, smoke, explosions, floods, ash storms, fiery flying boulders, collapsing buildings, giant sinkholes, tsunamis that crumbled entire coastlines…did I miss anything? In the end, I enjoyed it and so, it seemed, did everyone around me. 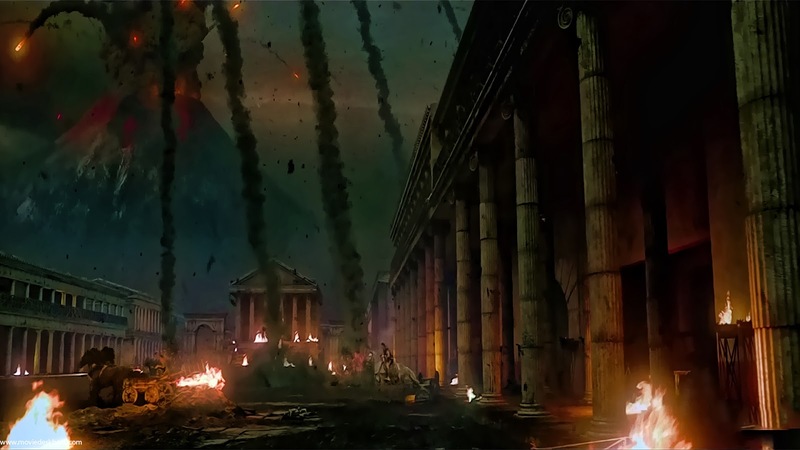 I was already well into writing my novel when I learned about the making of Pompeii. For me, it was interesting to analyze the creative choices that we both made—and the many ways, thankfully, that we went in different directions. Still, it’s a movie about Pompeii, which was enough to pull me into the theater. That and Kit Harrington’s abs, I suspect, will be the draw for most. 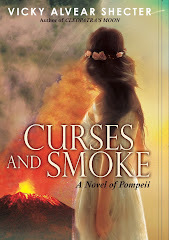 My novel, Curses and Smoke: A Novel of Pompeii (Arthur A. Levine Books/Scholastic), releases May 27. 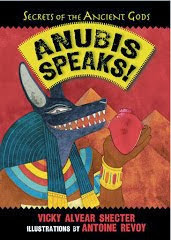 You can pre-order your copy at your local independent bookstore, Amazon, or B&N. Pompeii was the only thing I hated that I missed on my visit to Italy. I can't to read your latest novel. Thanks for the movie review. Thanks Karen! Seeing your comment made me miss our old writing group!